I feel it’s important to give patients the ability to be at the center of their treatment. And I support them from an emotional standpoint as well as a medical standpoint. Steven Sabath, DO, realizes the importance of involving patients' families in their care. “I care for my patients’ families as much as I do for my patients themselves because that’s how I would want my own family to be treated,” emphasizes Dr. Sabath. As a hospitalist at Cancer Treatment Centers of America ® (CTCA), Chicago, Dr. Sabath attends to the general medical needs of inpatients and outpatients. 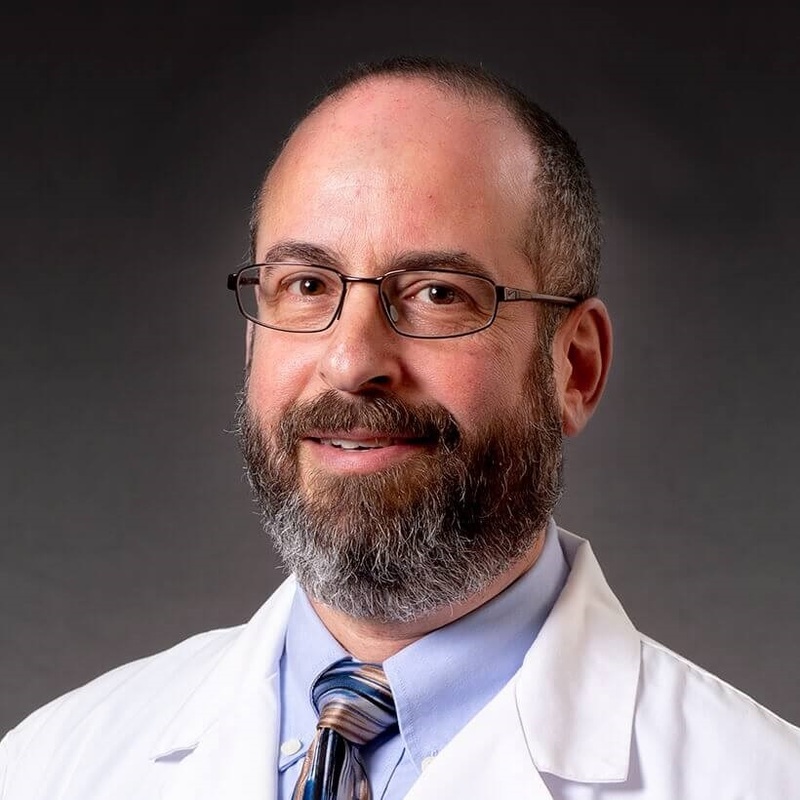 He provides internal medicine consultations and helps address medical conditions patients have in addition to cancer, such as heart disease, hypertension and diabetes. “CTCA® gives me the opportunity to be a part of establishing and maintaining cancer patients’ quality of life.” he says. Dr. Sabath, who joined CTCA in 2006, is board certified in internal medicine as well as hospice and palliative medicine. He completed a residency in internal medicine at Lutheran General Hospital in Park Ridge, Illinois. He obtained an osteopathic medical degree from the Chicago College of Osteopathic Medicine and a bachelor’s degree from the University of Illinois at Chicago, where he graduated with honors and highest distinction in biological sciences. For three years, Dr. Sabath volunteered as a resident physician at a community health clinic on Chicago’s west side, serving many of the area’s underprivileged residents. While at the University of Illinois at Chicago, he garnered the prestigious Louis Pasteur Award in recognition of an independent research project he conducted. In addition, Dr. Sabath was a member of the Sigma Sigma Phi National Medical Osteopathic Honorary Fraternity for academic excellence and community service.